Holi Hain Holi!! 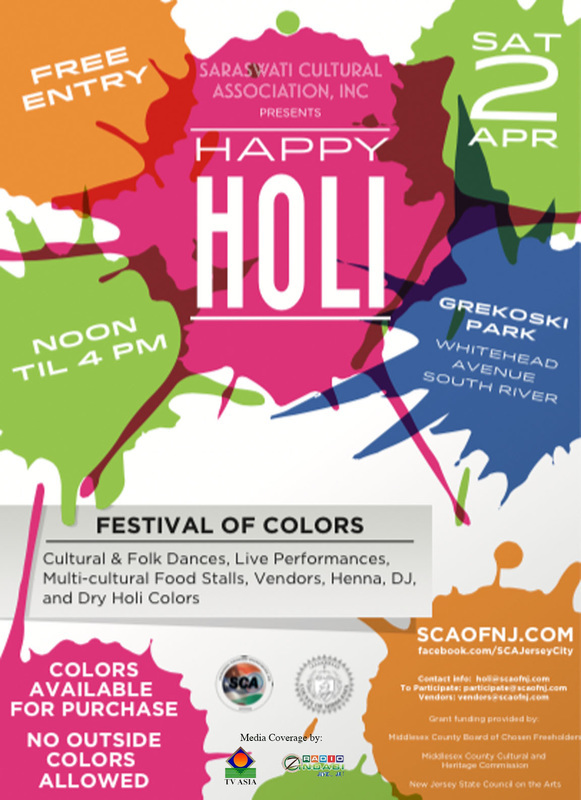 Come celebrate Holi with friends & family in March/April 2018 in Middlesex County, NJ. Holi is a spring festival, also known as the festival of colors or the festival of sharing love. The festival signifies the victory of good over evil, the arrival of spring, end of winter, and for many a festive day to meet others, play and laugh, forget and forgive, and repair broken relationships. Holi is also celebrated as a thanksgiving for a good harvest. No outside colors will be allowed.